The first time I saw and Aye-aye was on the cover of the book 'The Aye-aye and I' and I thought they looked so ugly but not the ugly where you start to think they are amazingly cute but actually ugly, I was totally uninterested in them. The other day I went to the West midland safari and leisure park and in the Twilight cave an Aye-aye jumped over to the side of the cage I was stood at. . . I am in love! The guide book says there are only 43 Aye-aye to be found in captivity world wide and that it is believed there are no more then 1,000 in the wild however when I looked on the net it said that they are only classed as near threatened on the ICUN red list which is only one up from least concern so is in the lower risk bracket. Does anyone keep these privately? http://www.cites.org/eng/app/index.shtml as it only tells you about import/export but what if someone already owns them and I bought one from them for example and they live in the same country as me. Yeah CITES covers shipping but I think they have special rules about who they can sell to too, to help prevent people getting the permit and importing an animal then go selling it or just keeping it as a pet or whatever. I'm not positive on that though. They wouldn't be involved with you getting one local otherwise though. They are on the US endangered species list though so you can not take them across state lines or own them without a permit. All of the laws with primates are odd. . . I mean many, many lemurs are endangered yet every zoo in the UK has LOADS of ring tailed or ruffed lemurs! I know how endangered they are is mostly about the wild population but I swear England alone could empty it's zoos lemurs into Madagascar and they would go from Endangered to least concern. Hey I even know a private keeper here with 15 lemurs! I think people keep lemurs as pets here in the US too. Ringtails at least. And I think one or two others, but I can't remember which ones. There's a breeder in FL. That's the one primate I would consider keeping, with enough research. And if I moved to a state that allowed them. They're so cute! Oh yeah your right. US endangered non-native you can not ship across state lines, unless you have the permit. So people do have lemurs but they can only be sold in state. So if you could find one in the same state as you to buy you could have an Aye-Aye but good luck with that. I know of no one. And people who have the endangered species permit can only donate to others with the permit. US endangered native you can not even own without the permit. 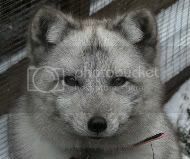 You can find the lists here http://www.fws.gov/endangered/index.html Click on species then US or foreign. It's interesting, a lot of zoos have difficulty getting rid of lemurs! Well, more specifically, ring tailed lemurs. I did work experience at Fota, Ireland's wildlife park, for a week as part of a school course thing, & one problem they had was with their lemurs. The troop had rejected a few of the older females, and they couldn't find anywhere that would accept them because they aren't rare or interesting (for a lemur, or by zoo standards, I'm not too sure, primates aren't really something I'm knowledgeable on). The lady in charge of primates there said the problem was the ring tails breed well in captivity, and are pretty common zoo fodder, so most places won't buy or even accept gift ones. The troop were being kept in a indoor enclosure & she had to rub a decongestant just above their tails so they wouldn't be able to recognise each others scents and the idea was that by the time it wore off their scent glands they'd have gotten used to the rejected ones again.